The fall & winter seasons always put me in the mood for crockpot recipes. And although I love a good slow cooker chili or soup, I decided to switch things up a little by creating a sweet dish in the crockpot. I wanted to use some cubed butternut squash in a new and festive way, and this is what I came up with. The butternut squash is slow cooked to sweet perfection, and perfectly balanced by the slightly tart flavor of the apples. The mixture of coconut sugar & butter simmers into a caramel-like texture that almost reminds me of an apple pie filling. 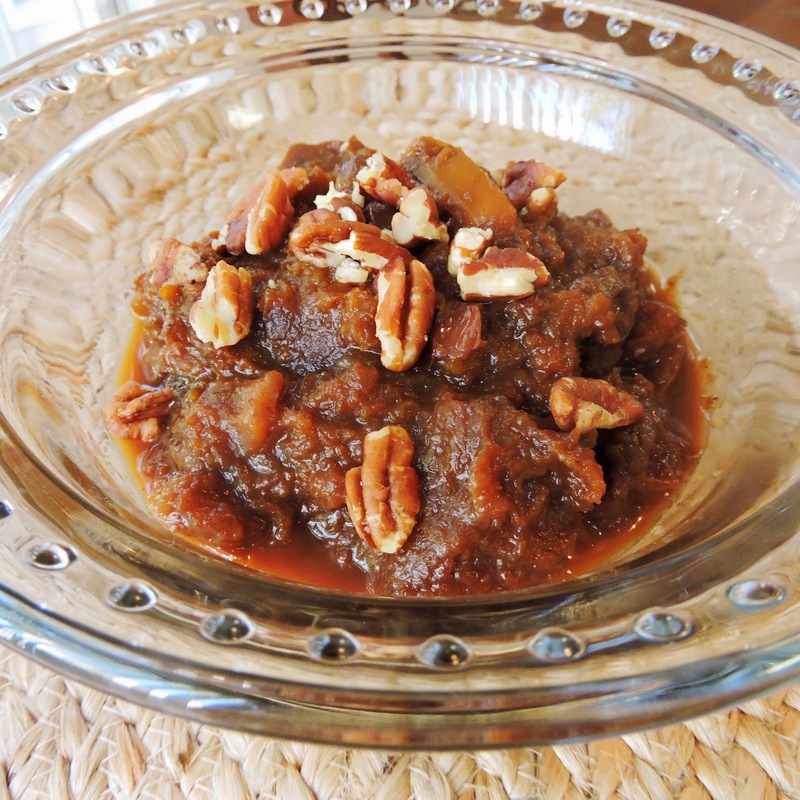 Top it with pecans, if you aren't sensitive to nuts, and you've got the perfect dessert. The flavors are also balanced enough to serve alongside pork chops as a festive side dish. I think this would be perfect for Thanksgiving in place of your usual "candied yams", or as a new addition to your holiday lineup! Cooking it in the crockpot just makes things that much easier, and fills the house with the most wonderful smells! I hope you enjoy my new creation, and please let me know if you try it out. Place all of the ingredients, except for raisins, in your crockpot. Give it a good stir, and set to cook for 6 hours on low. At the 5-hour mark, stir in the raisins. This step is optional, but adds another dimension of sweetness and gives the dish its rich, brown color. 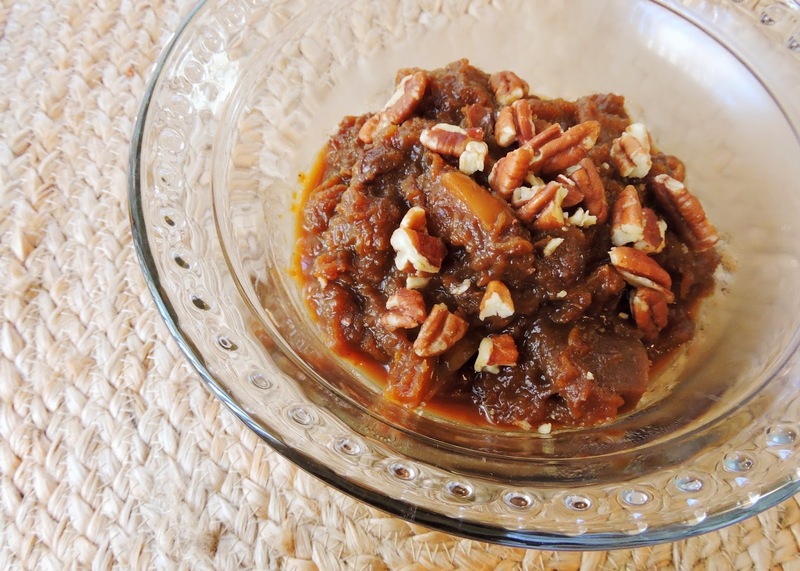 Serve warm, topped with chopped pecans if you like 'em!